HOUMA, La. 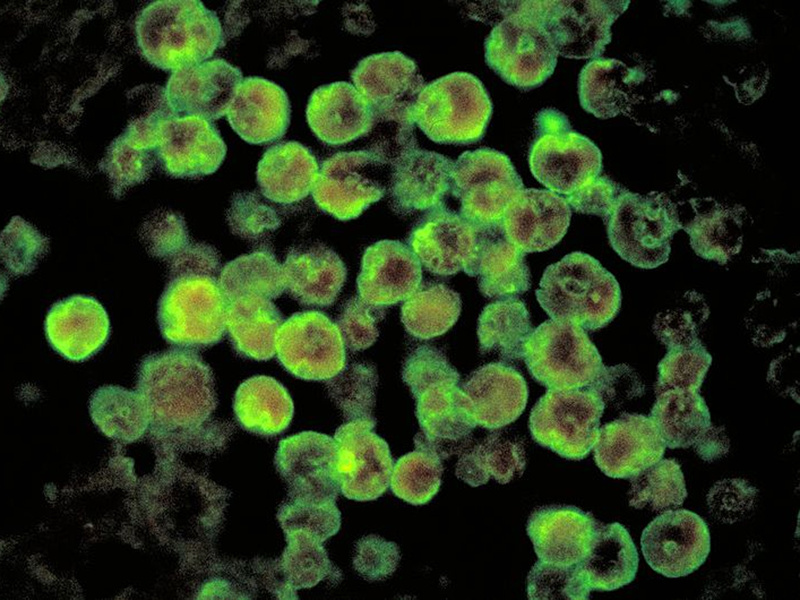 -- A potentially deadly brain-eating amoeba has been found again in Terrebonne Parish. Independent testing returned positive results for Naegleria fowleri, which causes fatal brain swelling and tissue destruction, in Pointe-aux-Chenes, according to CBS affiliate New Orleans WWL-TV, as well as The Courier. The Terrebonne Consolidated Waterworks District issued the notification Sunday and has temporarily switched to a different disinfectant to kill the organism. Despite the Louisiana heat, residents are ignoring their swimming pools and nearby bayous. They're terrified of something they can't see but that officials warn is present. "It kinda freaks me out because this is my home, I can't do what I usually do," said Lindsey Dupre, WWL-TV reports. "I want to know I'm secure rather than freak out over an amoeba." This marks the third time the amoeba has been detected in the water since 2015. Last June, Terrebonne Parish's water system tested positive for the amoeba in Isle de Jean Charles, where it had also been found three years ago. It impacts all fresh water sources ranging from drinking water to pool water to water used for showers. "Normally we see this amoeba in surface water when people go swimming and they get it way up in their sinuses and they'll get an infection," said Jimmy Guidry, Louisiana Department of Health's medical director. "They'll start getting symptoms that are similar to meningitis." Consolidated Waterworks' general manager, Mike Sobert, said it began using a 60-day pure chlorine wash on Friday to kill the microbes. It will test the water in two weeks to ensure it's eradicated. Sobert said the agency had planned to temporarily switch to the pure chlorine for the summer, which has been its practice for the past three years. Most infections occur during the summer months in southern-tier states because the organism thrives in warmer waters, but it can also occur in northern regions as well, the CDC says. An infection from the organism is rare, but it is almost always deadly, Guidry said. From 1962 to 2016, there were 143 reported cases, out which only four people survived. In Louisiana, two residents died in 2011 after using neti pots to rinse out their noses, and a 4-year-old boy died in 2013 after spending hours playing in a Slip 'N Slide in hot and muddy conditions. "It's not just getting water in your nose, it's getting water way up in your nose where the water burns," said Guidry, explaining that almost everyone who swims in public waters is exposed to the microbe, but very few get infections. The onset of the disease typically begins within five days and includes symptoms such as headaches, fever and nausea. Later symptoms include hallucinations, loss of balance and seizures, according to the CDC. To prevent an infection, the CDC advises to prevent from water going up the nose during showers or when washing your face, to avoid submerging your head under water when bathing, to supervise children playing with sprinklers or hoses and to avoid Slip 'N Slides and other activities that make it hard to stop water from going into the nasal cavity. The Lafourche Parish Water District also advises residents in the Marydale neighborhood, Grand Bois community and the Romero area to follow the same guidelines because it purchases water from Terrebonne Parish Consolidated Waterworks to service them.